Following the release of the PlayStation TV FAQs for North America, it has emerged that PlayStation Now will be coming to the PS Vita and PlayStation TV next week. The FAQs reveal that both devices will get access to the PlayStation Now beta on October 14th – the same day as PlayStation TV launches in the US. 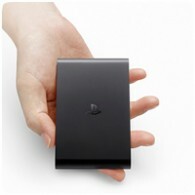 PlayStation Now’s Open Beta for PS TV is scheduled to launch on October 14, 2014 to consumers in North America. It is also scheduled be available on PS Vita at this time. Upon the North American launch, PS TV will require a system software update to add several new features. After you connect to the internet, you will need to sign into PSN, where you will receive a notification to update the system software.